For bigger groups please contact us. Transfer from Kiruna, warm clothes (winter overall, boots, hats, mittens and helmets), overnight stay, dinner, breakfast and lunch are included in the tour price. Please inform us about any food allergies. Meeting point for transfer will be the reception area at your accommodation. Please be ready to leave 15 minutes before the starting time of the tour. Please note that the pick-up time may be slightly delayed depending on the pick-up locations of other participants. On the Dogsled Overnight Tour you spend one night winter tent with wood stove or the warm cabin on the husky farm and follow us dog sledding two times. Join us on Aurora Husky Tour in the evening. On this husky tour we chase the northern light – Aurora Borealis – with the dog sled. Be a passenger or steer a dog sled at night time. Whether you decide to be a passenger on the guides` dog sled or want to share a sled with another guest, it is always special to be out with the dogs at night. A sky covered with glittering stars or a full moon in the wilderness are two of the most amazing sights. 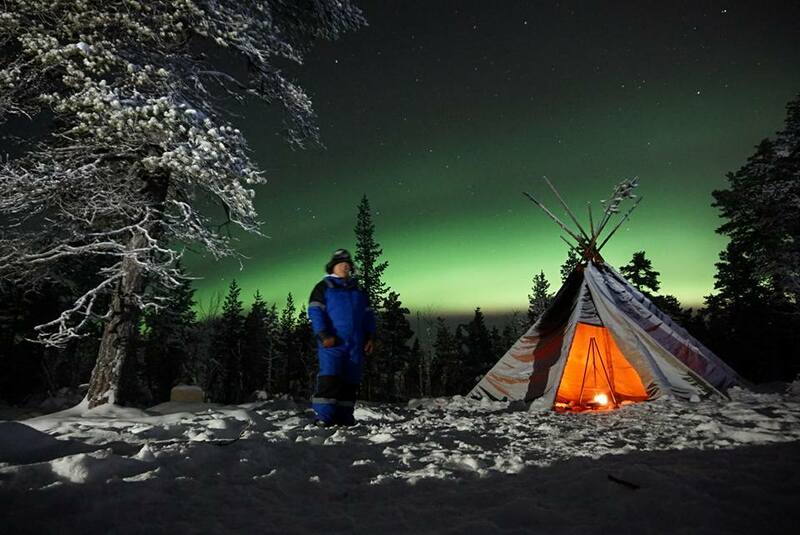 Howling huskies by the campfire and the Northern lights dancing above us can make it a magical night. The next morning you are welcome to help us with feeding our Alaskan huskies. Don’t worry, you may also sleep longer if you like. After breakfast we go out on a longer Daytour and eat lunch outside by a campfire. On the tour we cover a longer distance and get to know our dogs better. Also photo opportunities by daylight are given.